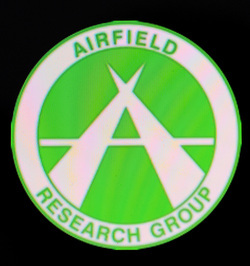 The Airfield Research Group has enjoyed a continuous existence since it was formed in the late 1970's. Made up of like minded people the Group is a non profit making organisation whose funds are derived from subscriptions and voluntary contributions. The aims of the Group are to research, record and to report information and material related to the history, architecture, current status and use of military and civilian airfields throughout the United Kingdom. Our members believe that it is important to maintain a history of all aspects of the nation’s aviation heritage. Please visit the website for further information by clicking on the logo to the left. A membership form is also available to download on the downloads page.